For IT News Week 5 Nov 2017.
honor Malaysia will name its first local brand representative, one of Malaysia’s most recognised and popular artiste which will be revealed officially at the brand’s biggest event this year on 12 December. The chosen brand representative who is a singer, rapper, graffiti artist, composer and publisher, has taken the Malaysian hip-hop scene to the next level and truly captures and represents the trendsetting spirit of the honor brand – which is for the young at heart and for the brave. 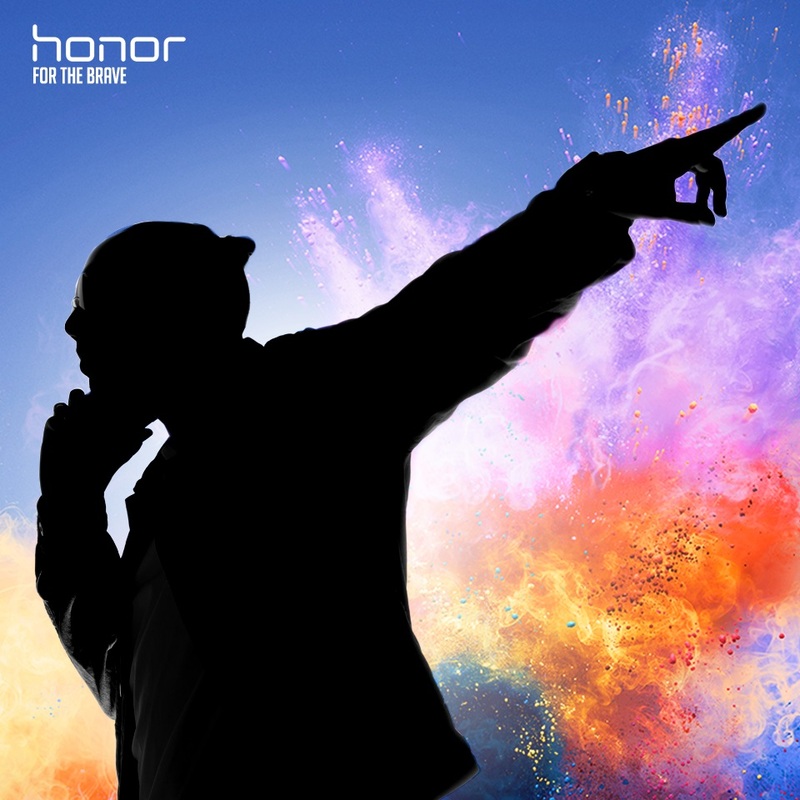 “Selecting our very own local brand representative is a huge leap forward for the honor brand. This marks yet another first for us and the chosen brand representative moulds perfectly to honor’s character and sprit, and we are indeed excited to reveal this to our local fans and customers this 12 December,” said Zhao Zhiwei, head of honor Malaysia. Since its introduction in the Malaysia market in 2014, honor has further strengthen its collaboration with local partners of culture, technology and art and all the passion points that reflect the spirit of this young brand to truly commit to the Malaysia market. McAfee, the world's largest pure-play cybersecurity vendor, has once again been named a leader in Gartner's Magic Quadrant for Security Information and Event Management (SIEM). Sunway Lagoon glows your mind up for one night of love, music and experience when it’s time to bid adieu to 2017, and welcome in 2018. 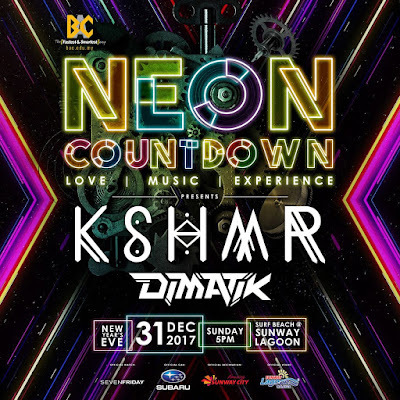 The 3rd edition of the Neon Countdown is bound to be even better than its previous editions and you can expect a memorable night with back-to-back performances by Malaysian DJs, as well as main acts from the USA and Australia. NICE announced today that, one of Australia’s largest multinational insurer is implementing its Nexidia Analytics solution as part of an initiative to improve customer experience, increase efficiency and reduce costs. The next-generation omnichannel analytics solution will capture and analyse 100% of the Australian insurer’s customer calls, and combine the information with interaction data from web chats, surveys and more, to derive rich, accurate and actionable insights. The insurer has nearly 5,000 contact center seats, handling about 12 million interactions annually. Silver Peak, the global leader in broadband and hybrid WAN solutions, announced today that it has surpassed 600 production customer deployments of its industry-leading Unity EdgeConnect SD-WAN solution. EdgeConnect customer deployments span all segments of the market from small-to-midsized businesses to geographically distributed global enterprises and cloud service providers. An application-driven SD-WAN edge architecture eliminates the need for conventional branch routers. Only EdgeConnect consolidates foundational network functions, SD-WAN, routing, WAN optimization and security, at the branch into a single, centrally orchestrated application-driven SD-WAN solution. A cross-section of new EdgeConnect SD-WAN solution customers include: A. Zahner Company, Centurion Medical Products, CorTrust Bank, EMC Insurance, Halff Associates, Inc., IMMI, Produce World and Simpson Strong-Tie. Bosch, a leading global supplier of technology and services, has announced the opening of its first smart factory in Thailand. The company is opening a new plant for injection technology in Hemaraj, 130 kilometers east of Bangkok. It is the first smart factory in Thailand, and the second Bosch Mobility Solutions plant there. Focusing heavily on connected manufacturing, Bosch will have invested 80 million euros in total in this new smart factory between 2015 and the end of 2017. In a facility covering 10,000 square meters, the smart factory contains an "active cockpit" for manufacturing associates to analyze the latest production data. This Industry 4.0 solution brings together a wide range of information in real time and helps increase competitiveness. The facility also includes a research and development center. In the year ahead, Bosch plans to expand its manufacturing activities in Vietnam as well, investing 60 million euros on expanding pushbelt manufacturing. IDC predicts that 163 zettabytes of data will be generated by 2025, which is ten times the data generated in 2016. This exponential growth leaves enterprises with the challenge of managing various types of data, from different sources, without busting budgets. Cloudera (NYSE: CLDR) today announced a strategic partnership with Tata Communications that directly tackles this challenge by enabling organizations to better structure a wide variety of types and volumes of data, transforming overhead cost into a profit centre. Leveraging Tata Communications’ global cloud footprint and Cloudera’s machine learning and analytics capabilities, the managed services for Big Data offering enables enterprises to quickly capture, store and analyze data in various formats and across multiple sources. Availability in dedicated or multi-tenant private cloud environments with enterprise-grade regulatory and privacy standards. 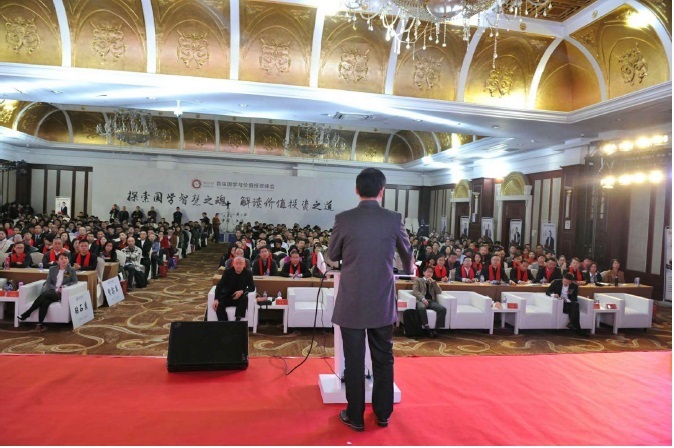 8I Holdings Limited (ASX: 8IH) (“8IH” or “the Group”) is pleased to announce that its Education subsidiary in China, Shanghai Rong Dao Culture Communication Co. Ltd (“8I Rong Dao”), has successfully concluded the inaugural Sinology & Value Investing Summit (“8IH CVIS” or the “Summit”) in Shanghai. Ms Low Ming Li, Head of Investment in Private Markets of 8I Holdings Ltd, added, “We are very encouraged by the success of our Inaugural Sinology & Value Investing Summit in China. 8I Rong Dao is an important part of the growth strategy of 8I Holdings. 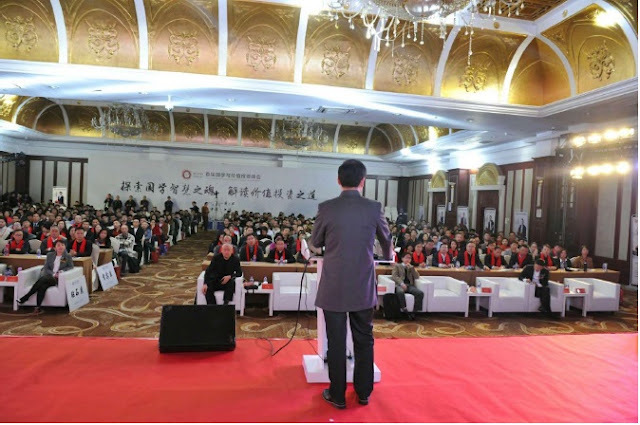 We will continue to seek more opportunities in other cities in China to further advocate Value Investing methodologies to the general masses. As our programmes continue to penetrate the China market, we are optimistic on China becoming one of the important growth engines for 8I Holdings Ltd.
Today Google announced Datally, a smart and simple Android app that helps smartphone users understand, control, and save mobile data. Datally works on all smartphones running Android 5.0 (Lollipop) and higher, and is available today on the Google Play Store globally. Datally helps solve one of the biggest pain points for smartphone users around the world — worries about data usage. Google found during extensive user research around the world that many smartphone users worry about running out of data. This is an especially acute problem for the newest generation to come online, known as the “Next Billion Users.” Not only are these smartphone users constantly thinking about data balances, but they do not understand where their data is going, nor do they feel like they can control allocating data to the apps they really care about. Google tested Datally in the Philippines for most of 2017, and the insights from the product tests there shaped the final app. As a merchant acquirer for WeChat Pay in Malaysia, HLB can now enable Malaysian businesses to start accepting WeChat payments for both online and in-store payments. 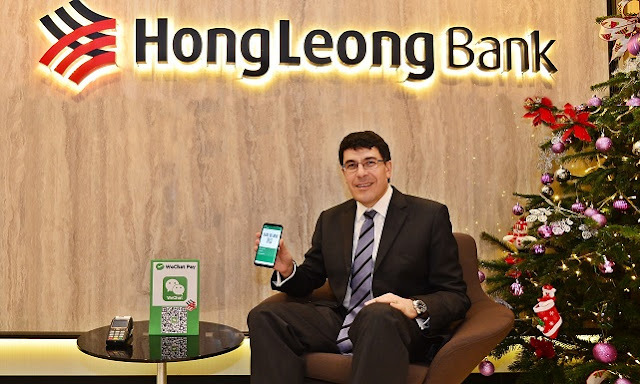 “This is an important development for our Merchant Services business and we are excited to expand the payment ecosystem for greater convenience to our Malaysian merchants” said Domenic Fuda, Group Managing Director and Chief Executive Officer of HLB. “This will be our first foray as an acquirer of the very popular Chinese wallet based payment methodology riding on WeChat Pay technology which has over 600 million monthly active users in China”. "The collaboration will provide an easy and hassle free payment solution for Chinese tourists visiting Malaysia by letting them use their WeChat accounts as a payment platform. Chinese tourists would worry less about converting their currency to Ringgit before they travel to Malaysia. Local Malaysian merchants with Hong Leong Bank (HLB) will effectively be able to enter the dynamic WeChat social media and e-commerce ecosystem to transact easily with Chinese tourists. Upon completion of a transaction, the settlement received by HLB merchants will be in Malaysian Ringgit (MYR). HLB merchants will be issued a POS terminal where customers can scan a QR code using their mobile device to make purchases in Malaysia in RMB or even other currencies. There will be exciting developments up ahead to facilitate the ease of completing transactions, including merchants being able to use mobile devices to scan QR codes." Genesys, a global leader in omnichannel customer experience and contact center solutions, has announced nearly 250 companies in 2017 are replacing legacy contact center systems from Avaya, Cisco and others for the Genesys Customer Experience Platform. This fast growth in legacy migrations is the result of increased demand from customers for omnichannel solutions and recent shifts in the industry landscape. In light of this, Genesys’ PureBridge programme is a mark of the company’s commitment to helping companies navigate the migration from existing systems and legacy applications to next-generation solutions that enable exceptional customer experiences. The PureBridge program offers multiple assessment tools for businesses and individuals. Over 600 people have completed a CX maturity assessment since its launch in late July. Over 12,000 people have already tested their customer experience expertise with a quiz assessing their understanding of today’s consumers’ expectations for customer service. More than 1,200 people have completed a free CX Professional Accreditation Course which provides business and technical users online training designed to help them lead a seamless transition to a new solution.